Dynamic emission tomography is a technique used for quantifying the biochemical and physiological processes within the body. For certain neuroimaging applications, like kinetic modelling in positron emission tomography (PET), segmenting the measured data into a fewer number of regions-of-interest (ROI) is an important procedure needed for calculation of regional time-activity curves (TACs). Conventional estimation of regional activities in image domain suffers from substantial errors due to the reconstruction artifacts and segmentation inaccuracies. In this study, we present an approach for separating the dynamic tomographic data directly in the projection space using the least-squares method. Sinogram ROIs are the fractional parts of different tissue types measured at each voxel. 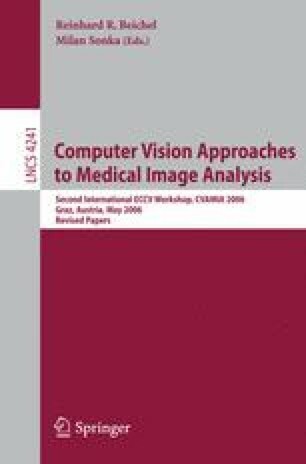 Regional TACs can be estimated from the segmented sinogram ROIs, thereby avoiding the image reconstruction step. The introduced technique was validated with the two dynamic synthetic phantoms simulated based on 11C- and 18F-labelled tracer distributions. From the quantitative point of view, TAC estimation from the segmented sinograms yielded more accurate results compared to the image-based segmentation.